Honestly, at this point, I think you can be forgiven for forgetting that Sonic was once, actually, incredible. The Blue Blur has had such a bad streak for major releases that many are willing to write him off entirely – perhaps understandably so. But now is the time to let bygones be bygones, for Sonic Mania is a stark reminder to absolutely everyone why Sonic became a household name in the first place. Once upon a time, I couldn’t pick between Sonic and Mario – but now, years later, the seemingly endless stream of frankly mediocre-at-best Sonic games has jaded even my capability for nostalgia – I honestly didn’t believe a 2D Sonic game could hold my attention in 2017, especially not after Sonic the Hedgehog 4. But Christian Whitehead has successfully delivered a love letter and a testament to past Sonic games – and brought our boastful bushpig into the modern era – with Sonic Mania, a game that just could be the best Sonic has ever seen. 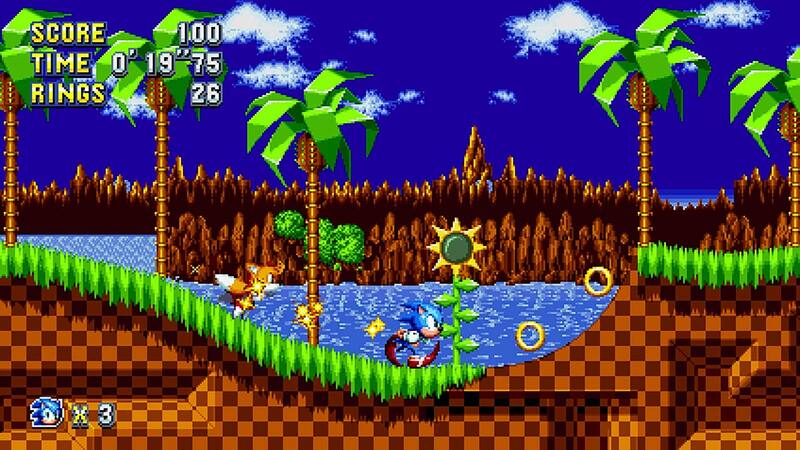 Things start off with more than a hint of familiarity as Sonic dashes through the Green Hill Zone. There are a few things out of place though – some new enemy placements, item boxes in different locations – and then, before your very eyes, the stage transforms into something entirely new and original. 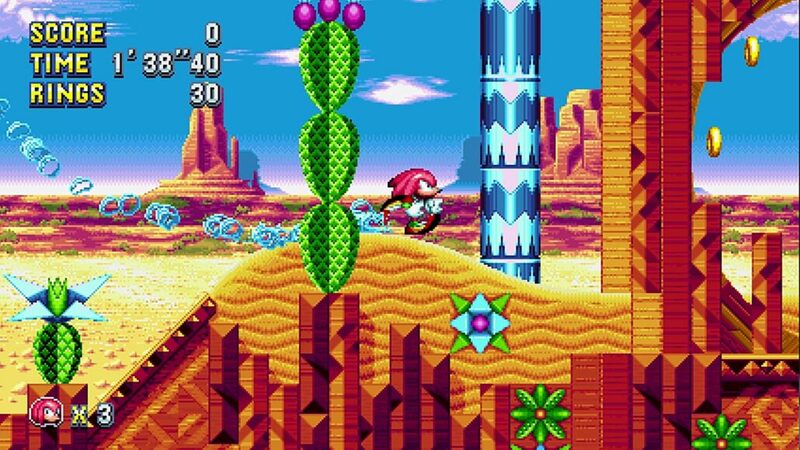 For all intents and purposes, the latter parts of these returning stages, such as Green Hill Zone, Chemical Plant Zone and Oil Ocean Zone, are completely new experiences. Stages are massive, too. Early stages in the first two Sonic classics will be over in a couple of minutes at the very most, while in Sonic Mania taking five minutes on a single act on your first time through won’t be unusual at all. And that is of course while taking a single route through the stage, and all stages are packed with multiple paths and loads of hidden secrets. It feels like classic Sonic as you remember it, but turned up to much more extreme level. There’s plenty in Sonic Mania to remind you that this is a brand new Sonic experience though. Sonic’s new move is a spin dash you could perform as you land, allowing experienced players to keep their momentum high throughout long stages without having to stop and perform a stand spin dash. It adds another level of depth and expertise to each stage, allowing the player to decide their own difficulty level simply by letting them choose how which path they want to take and which jumps and moves they want to attempt. Even familiar power ups, such as the flame shield, take on new abilities as Sonic flame dashes through the air and then burns the environment – wood and oil, for example, light instantly, opening new pathways of destroying potential ones, depending on how you use them. The Electric Shield will also allow you to walk on magnetic surfaces, turning some stages into anti-gravity madness. In case it wasn’t clear, new stages are also fabulous. They often take inspiration from classics, while introducing enough new to make these feel like genuine 90s era Sonic stages that have only just been discovered. Of course, there are hints that these are not exactly like the Genesis originals – brand new, detailed animations, incredible new songs and remixes that weren’t possible on 16 bit hardware, texture scaling and multiple detailed background layers in many stages show off the power of more modern hardware – and it’s put to amazing use bringing Sonic’s original, vibrant art style to life. Of course, there’s more than just Sonic at your disposal – Miles “Tails” Prower and Knuckles the Echidna are along for the ride too. 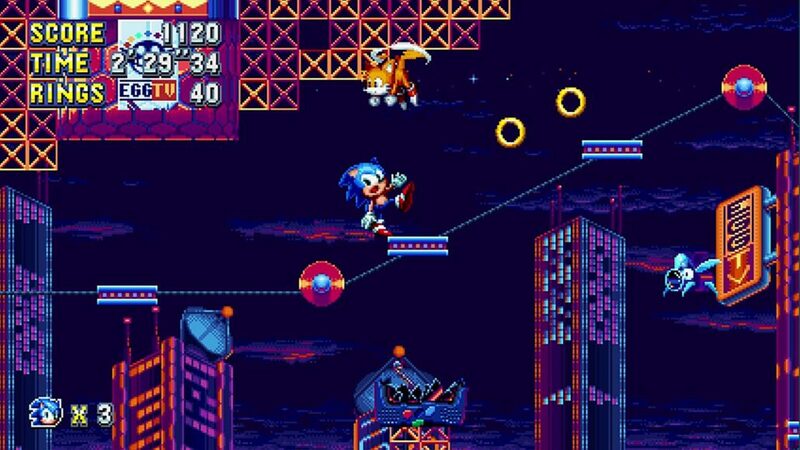 Tails can use his tails to hover, and Knuckles has his classic climbing and gliding abilities, which once again change up the pace of stages and open up more new paths, meaning your first time through isn’t just a blast, but your second and third times are just as good. Returning to levels I kept taking new paths, finding new secrets, getting Chaos Emeralds earlier than the time before – just like back before I could save my game, I’m finding more and more when I return to familiar levels. Bosses are great too – and unlike you might expect, it doesn’t rely on nostalgia (except in one instance which is actually fantastic). Instead, bosses are somewhat inspired by classics, or are entirely new takes – either way, my knowledge of previous Sonic games could help me so much when confronted with brand new challenges. 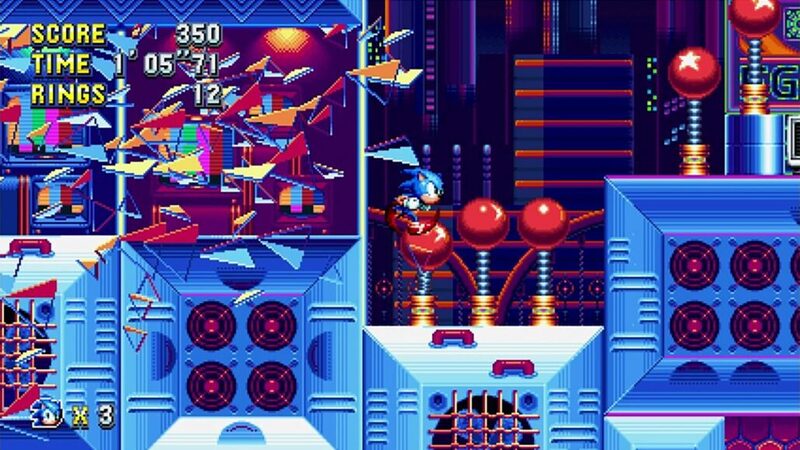 After playing Sonic Forces’ throwback boss in a recent demo I was less than impressed, but in Sonic Mania throwbacks are given just as much new inspiration as brand new bosses. It’s hard to write a bad word about Sonic Mania. It’s a complete, classic package, at a great price. Each character you play as feels just as you remember it, but sharper. Each classic stage starts as you remember it, and then transforms into something completely new. Sonic Mania is a love letter to fans and a testament to the Blue Blur himself - a modern classic that Sonic fans old and new have to experience.